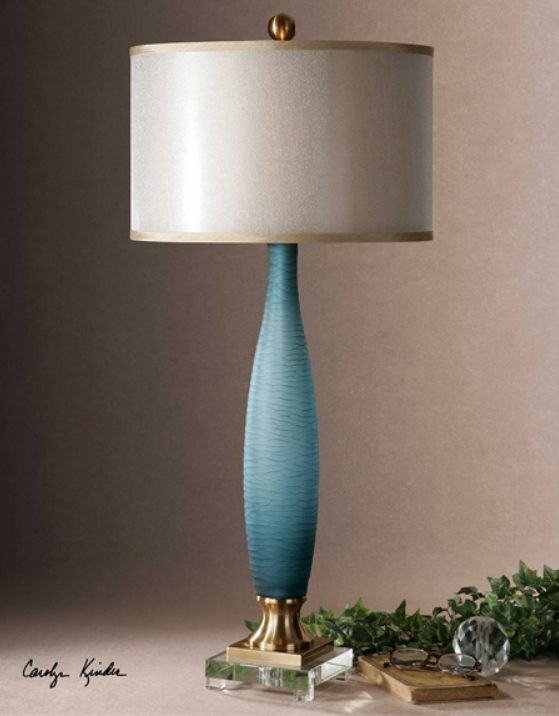 The Alaia Lamp features etched, frosted, cobalt blue glass with plated brushed brass details and a crystal foot. Designed by Carolyn Kinder International, the round, double, hardback shades include a golden-champagne inner shade with a warm champagne, silken-sheer outer shade. Available to trade professionals at Uttermost.com. 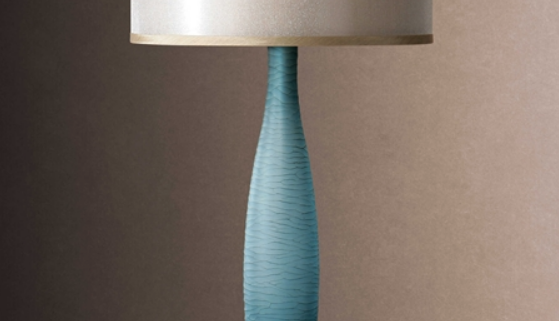 For retail purchase Google search term “Carolyn Kinder Alaia Lamp”.